Clue Town Books were created by Jay Carlson a stay at home dad and creator of The Plug, a monthly web magazine that is part social experiment and part avant-garde life documentation. Clue Town scavenger hunt books are the first of their kind. They combine Jay's love of zines and games into an activity that anyone can enjoy. Have you ever wanted to find a way to make visits to Atlanta more fun and exciting for your family? Are you looking for a way to combine education, entertainment and exercise? Well look no further Clue Town Books totally fit the bill! There are 6 books including Piedmont Park, Oakland Cemetery, Downtown Decatur, Atlanta BelLine, Grant Park and Downtown Kirkwood, and hopefully more to come. They are perfect for date nights, birthday parties, team building events, sightseeing, homeschool groups, scouts and more. And they are suitable for adults and children (ages 12 and up can easily complete the hunt on their own but younger children may need assistance). Each full-length booklet includes a compass and pencil. Full-length books take 60-90 minutes to complete and mini-hunts take 20-40 minutes to complete. 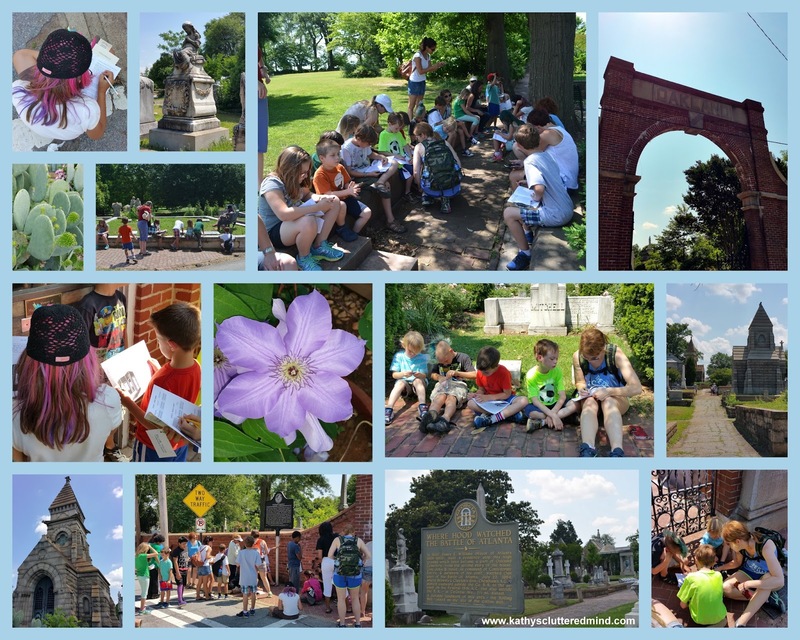 Our homeschool group visited Oakland Cemetery and did The Clue Town book as a group. Oakland Cemetery is the oldest cemetery in Atlanta and was founded in 1850. The 48 acre site mixes Victorian and garden styles within its historic sections. Did you know almost 70,000 people are buried there? The Oakland Cemetery Clue Town booklet takes visitors down brick paths in a respectful scavenger hunt that delivers a beautiful and cultural experiences. We had children ranging from about 6-12 completing the scavenger hunt and everyone had such a blast that they all agreed we definitely needed to do it again. To complete the hunt and earn the reward at the end of the booklet hunters use the cemetery landmarks to solve a variety of puzzles. Each solution to the puzzles reveal how to get to the next checkpoint. Some of the puzzle types in the Oakland Cemetery book include matching, mazes, rebuses and more. Each family used 1-2 booklets depending on how many children they had. To add to the fun each family that completed hunt had their names entered into a drawing to win Downtown Decatur Clue Town booklet. Order a few and see for yourself how much fun the Clue Town Books are! 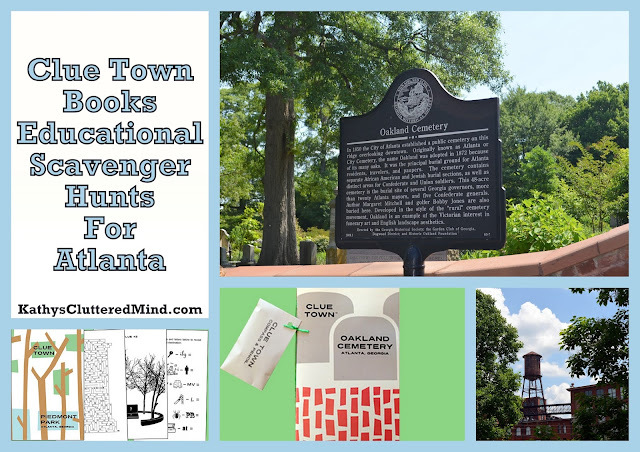 Clue Town booklets can be purchased online or at various stores around Atlanta. Full-length books are $15 and mini-hunts are $7.